A collector's item for anyone interested in the Victorian era, a complete original newspaper from a selected year between 1831 and 1900 (newspapers from previous years may be available but cannot be guaranteed). Read about the scandals and the news of famous Victorians and get an insight into what life may have been like in those days. What's on offer in the small ads and notices? 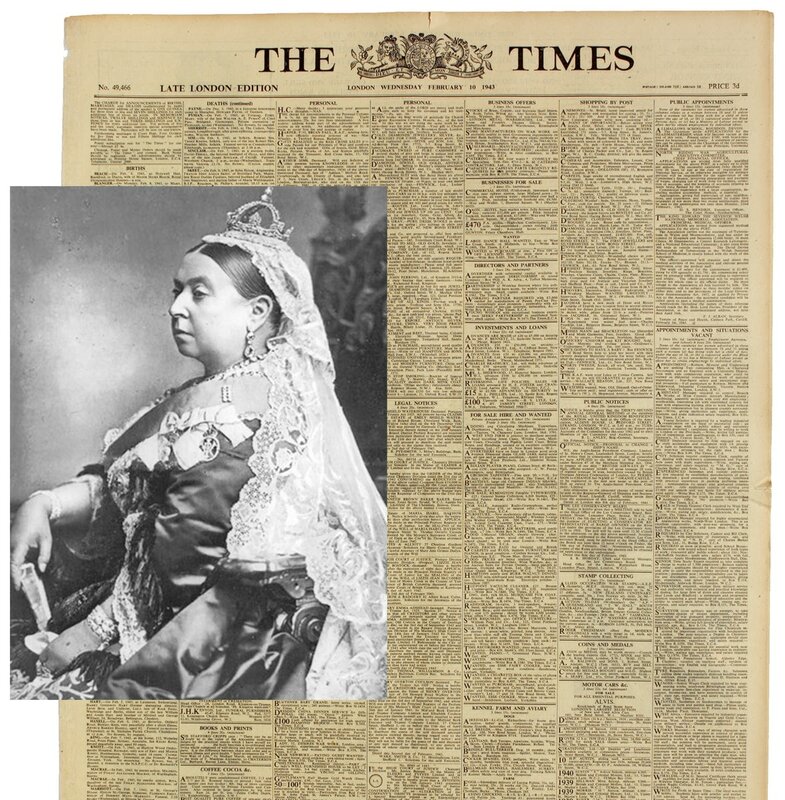 These rarities have been carefully stored by Historic Newspapers, the world's largest private archive with a stock of around 7m genuine, original newspapers. They are carefully removed and prepared for despatch by experienced hands. In most instances the newspaper is The Times but this is not guaranteed in every case. Here's a great gift for someone who's celebrating a landmark birthday or a milestone wedding anniversary.